Clients of Weber Shandwick, Edelman and Ogilvy each received more than 15 nominations in the EMEA region SABRE Awards competition. LONDON—Clients of Weber Shandwick, Edelman and Ogilvy each received more than 15 nominations in the EMEA region SABRE Awards competition, following two weeks of jury meetings involving close to 50 industry leaders from across the region. The winners will be announced at our annual awards dinner, to be held once again at The Roundhouse in London on May 19. Tickets—for both the dinner and the In2 Summit taking place the same day—and tables are on sale now. Clients of Weber Shandwick (including its Swedish acquisition Prime) received 19 nominations; clients of Edelman 17; and clients of Ogilvy 16. Other firms with double-digit nominations for their clients include Ketchum (13) and MSLGroup, including its JKL operations in the Nordics and EPIC MSLGROUP in South Africa (12). 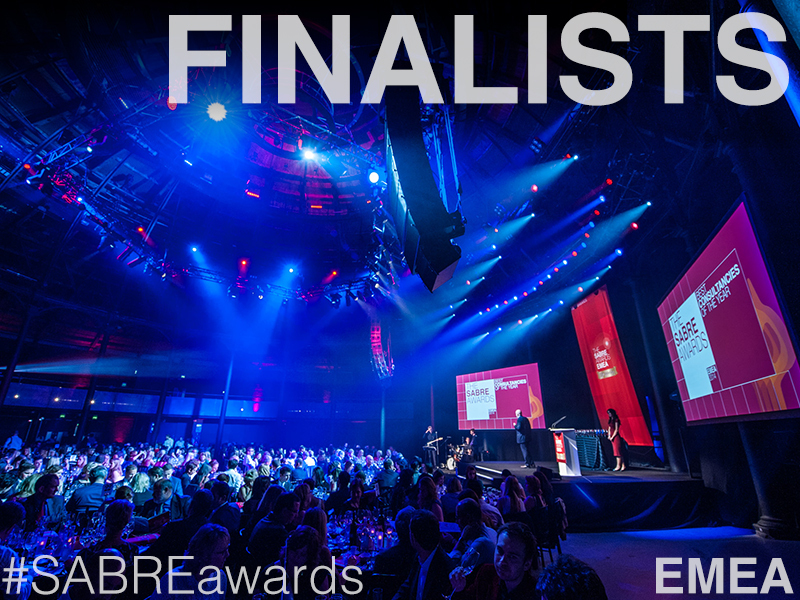 Other multiple nominees include Burson-Marsteller (nine); Cohn & Wolfe, Geelmuyden Kiese of Norway, Hill+Knowlton Strategies, and Hope & Glory of the UK (eight each); Porter Novelli (seven); Trigger of Norway and Unity of the UK (six each); and the UK’s Blue Rubicon, FleishmanHillard, Golin, and Llorente & Cuenca of Spain (five each).